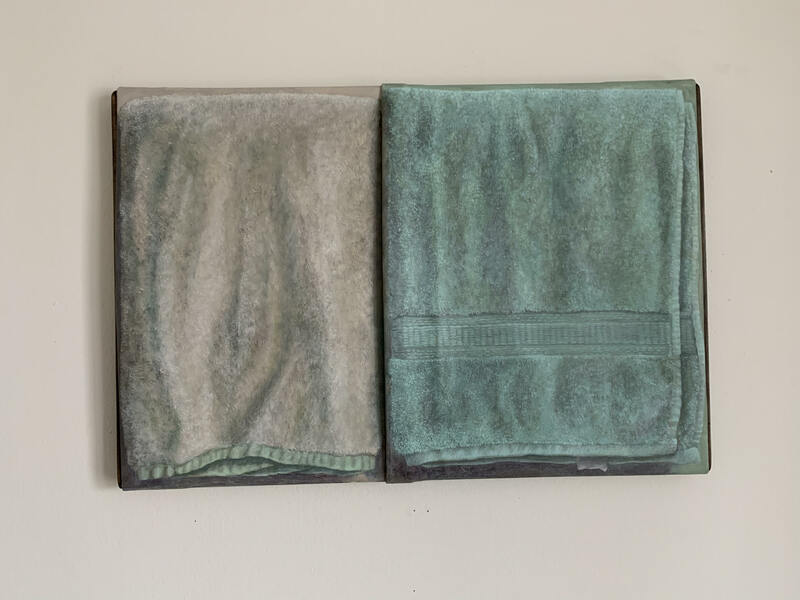 memorabilia – seemingly everyday objects that hold their own special character, their own storage of memories and stories existing beyond the usage of human ownership. The intention is that these objects – socks, t-shirts, handkerchiefs, etc. – be portrayed in their own singular and momentous light. Further exploring this idea of presence, I’ve also been working on a series of cat portraits. The paintings capture the subjects, always sitting, in their own states of observation. 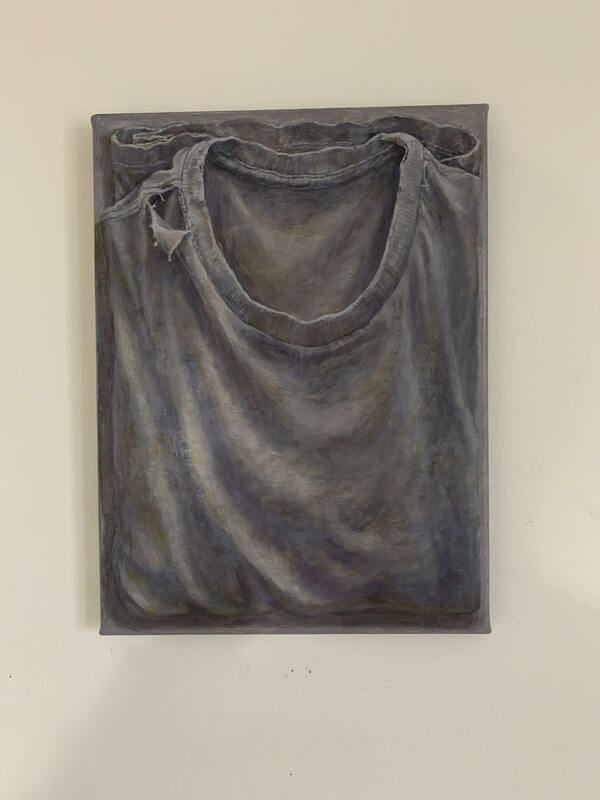 but somehow sacred custom of folding one’s clothes – to various styles of underpainting, my methods serve as a history lesson as I work. From there, ideas arise organically; for example – the pointed tips of canvases resembling ears and thereby inspiring the series of cats. Ryosuke Kumakura was born in Niigata, Japan in 1981. He holds a BFA from Tama Art University, Tokyo (2004) and attended National Academy School of Fine Arts, New York. He paints used fabrics in everyday life such as handkerchiefs, socks, T-shirts with oil paints on humble size of canvas. Also he paints cats on canvas with the folds at the top mimicking ears. 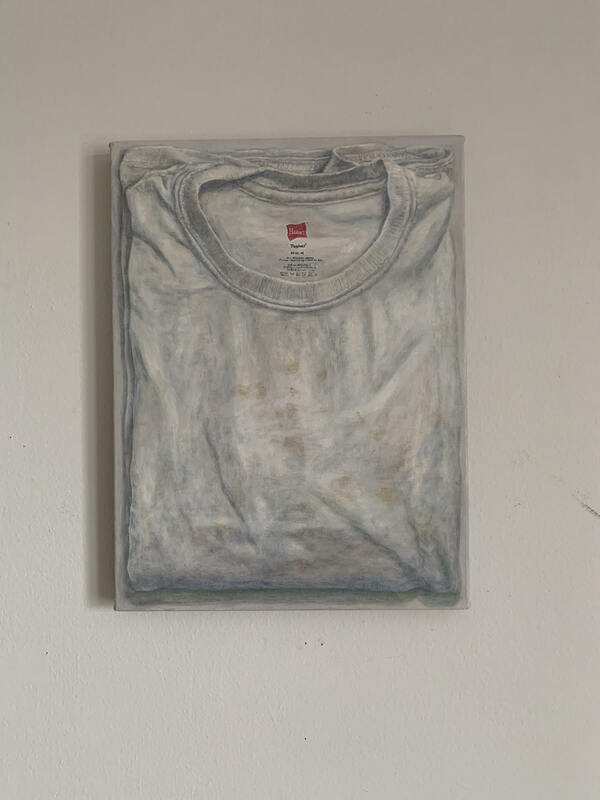 Past exhibitions include “Belongings” (Patron Gallery, Chicago, IL, 2017), “Andrej Dubravsky and Ryosuke Kumakura” (Rozsnyo Mining Museum, Rožňava, Slovakia, 2017) National Juried Exhibition(First Street Gallery, New York, NY, 2012). He lives and works in Beacon, NY.